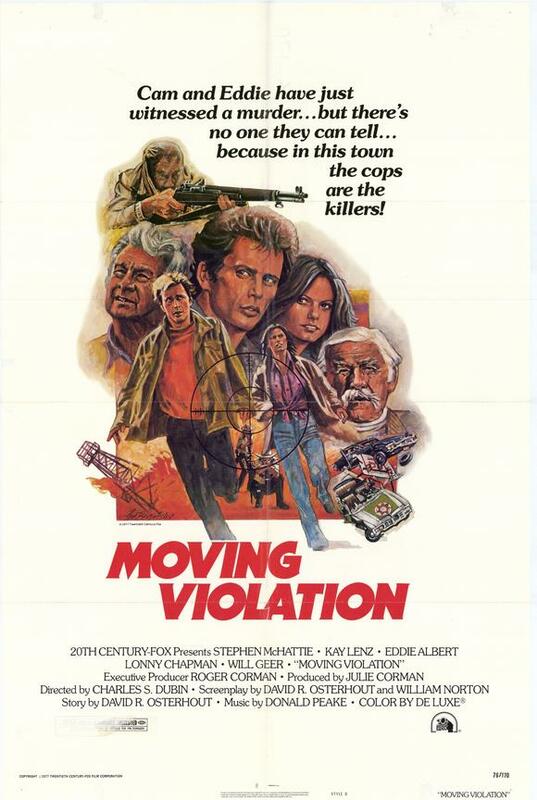 Digi-Schlock: FIGHTING MAD/MOVING VIOLATION (Shout! Factory DVD) – Schlockmania! This disc represents the fun version of a “crossing the streams” moments for Shout! Factory: in the process of rolling out their line of 20th Century Fox titles, they’ve uncovered a pair of Roger Corman-produced films that would be equally at home in their Roger Corman Cult Classics line. 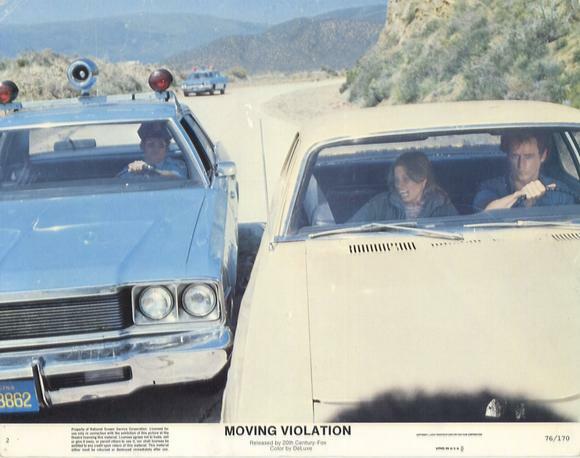 This pairing – Fighting Mad with Moving Violation – offers the viewer a nice trip down memory lane to a time when major studios were more willing to churn out smaller-budgeted “second division” items that could play alongside the self-produced fare that enterprising types like Corman made for their own indie companies. The big highlight here is the new transfers these films get. Neither had previously made it to DVD, existing in a kind of post-VHS limbo that limited their exposure to the occasional showing in full-frame form on cable t.v. Thankfully, this disc gives each title a fresh anamorphic transfer at 1.78:1 ratio. The results are crisp and colorful, making each transfer a dramatic improvement over past versions. The boost in clarity really aids Fighting Mad, which uses the kind of naturalistic lighting approach that used to fare poorly in video transfers. Original soundtrack mixes are used for both films and they both sound pretty robust here, with an easy-to-follow blend of dialogue, music and effects. There are also some extras thrown into to further sweeten this 2-for-1 deal. Each film gets a commentary track. 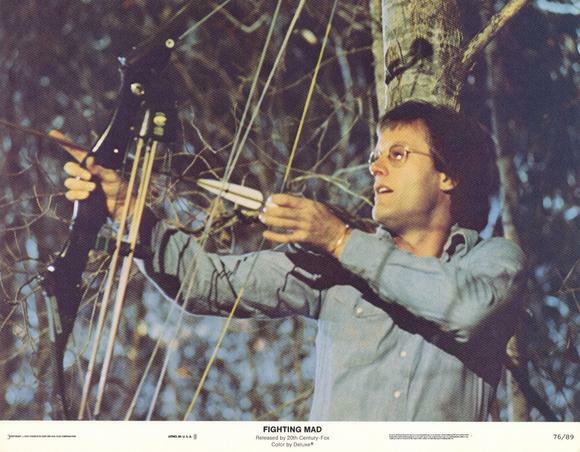 The Fighting Mad track features an all star lineup of director Jonathan Demme, producer Roger Corman and stars Peter Fonda and Lynn Lowry while the Moving Violation track offers a trio of producer Julie Corman, director Charles Dubin and actor Stephen McHattie. The Fighting Mad track is the best of the two: Demme is an enthusiastic ringleader, excitedly peppering the running time with anecdotes and fond memories of his co-workers, while Corman primes him with question and Fonda and Lowry chime in the occasional scene-specific memory. There is a lot of interesting material for any b-movie buff here, including how two of Martin Scorcese’s bodyguards ended up in the supporting cast alongside the author of Rollerball and mentions of a few scenes that were quickly shot on sets for Jackson County Jail. Demme even points out a shot designed to quote Bertolucci’s The Conformist! It’s a joyous, fast-paced affair that anyone likes the film needs to hear. Sadly, the Moving Violation commentary doesn’t fare as well: McHattie seems to have little in the way of memories or enthusiasm while Dubin is enthusiastic but doesn’t have that much to say beyond some stock comments about the process and effusive praise for his coworkers. However, Julie Corman holds the track together by supplying some memories and priming the track with questions of her own. There are a few good tales for the patient listener, including Eddie Albert’s incredulous reaction to a particularly hairy car stunt he had to appear in. The package is rounded out by a variety of trailers. Theatrical and t.v. spots are presented for both of the main attractions: be sure to watch the t.v. 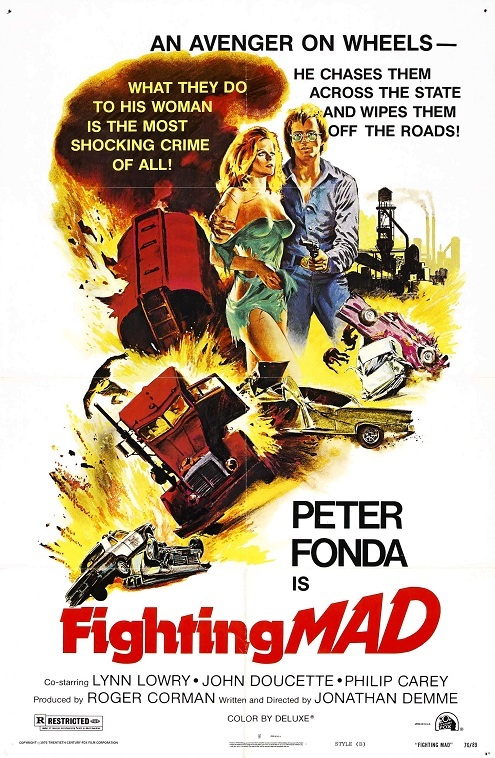 ad for Fighting Mad, which curiously pitches it as a car-crash caper in the vein of Dirty Mary Crazy Larry! There is also a bonus trailers section that includes previews for two hotly anticipated items soon to be released by Shout Factory on DVD, Damnation Alley and Gordon’s War. 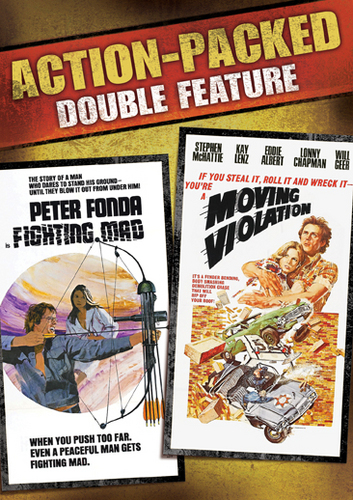 In short, this is yet another fine double-bill from Shout Factory, serving up strong transfers and worthwhile bonus content at a fan-friendly price. If you’ve got a jones for 1970’s drive-in fare, this Fighting Mad/Moving Violation delivers the knockabout goods.